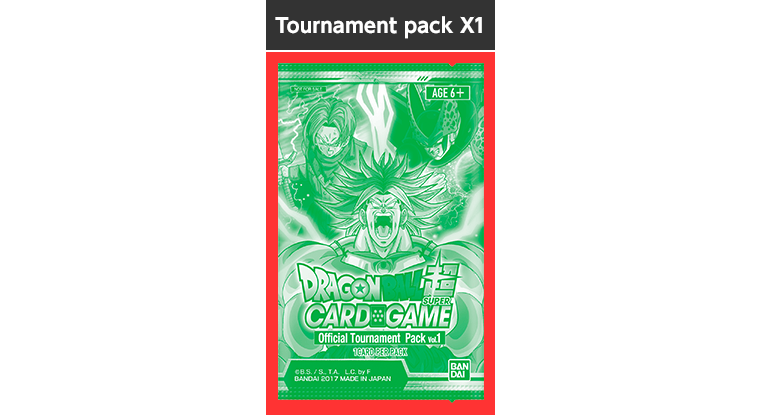 The Dragon Ball Super Card Game is coming to Gen Con 2017 on August 17-20!! We’re also throwing a tournament for the game August 19-20 at Good Games Indianapolis, a nearby game store! *You must create a BNID to enter. *Pre-registration is limited to residents of the United States of America. Residents of other countries may register in-person the day of the tournament. *If we determine that applicants created multiple accounts to register, they will be disqualified from entry. *Players chosen for the tournament will be sent a confirmation email. You will be unable to enter the tournament if you’re late for the registration time. *Confirmation emails are scheduled to be sent out on August 4th. Please check your spam filters to make sure you don’t miss it. *You can also check whether you got in or not on your entry page. *Please bear in mind that photos will be taken the day of the tournament for use on the official site. Tournament will start at 5 p.m.
（Entry for pre-registered players: 4:00 p.m. – 4:15 p.m.
Purchase one or more packs of the Dragon Ball Super Card Game at Good Games Indianapolis. *Players who do not win the entry lottery will also receive sleeves. *Sleeves are also planned as prizes for future tournaments. *Images are for illustrative purpose, and may differ from the final product. 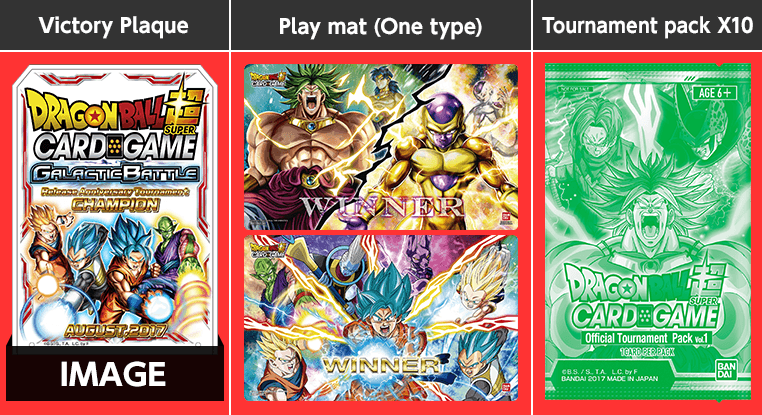 *Possibly, you can’t choose the play mat you want. 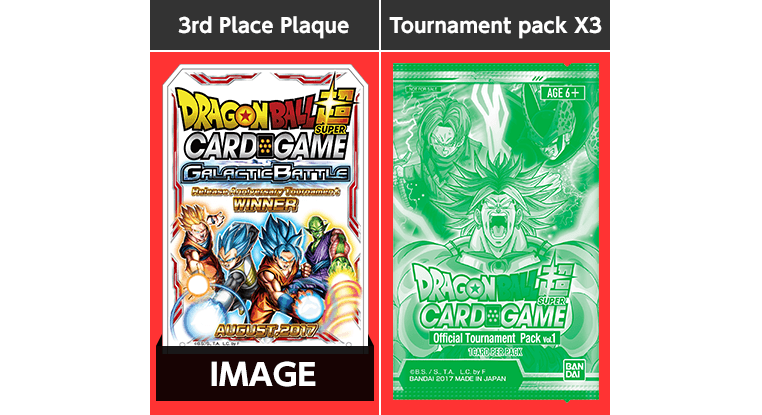 *The top three placers’ photos and deck lists will be featured on the official site. Tournament entry lottery tickets will be distributed at the Gen Con Bandai booth（#2819）the day of the tournament. Lottery tickets for deciding the 24 tournament participants will be distributed from 10 a.m. Numbers are limited. The lottery will be held around 4:30 p.m. on the day of the tournament at the store where the tournament will be held. *Entrants who are late to the lottery for any reason will not be allowed to participate. Entrants who are not selected in the lottery will receive sleeves as a consolation prize. *Tickets are limited to 1 per person. *Either print out the email showing you can enter the tournament, or show the email on a smartphone or similar device. *As per the rules, please bring your deck sleeved and ready to play. *Please only bring lottery tickets for the same day of the tournament. Demonstrate the product and announce information about series 2. *Lottery ticket for deciding the 24 tournament will be distributed from 10a.m on August 19-20.